The Intex Inflatable Chair is another top quality product offered by the one and only official franchise of the Telebrands PAKISTAN. The Intex Inflatable Chair is basically an inflatable chair designed to accommodate the comfortable seating of 1 adult person at a time. The Intex Inflatable Chair is made from the durable flocked material that gives the looking of a velvet during feel and touch. The Intex Inflatable Chair is waterproof the material is vinyl resistant, so you don’t have to worry about anything at all. The Intex Inflatable Chair can easily be inflated with the help of the electric or manual air pump. The electric air pump is not included in the package and all the users must have to arrange it on their own. The Intex Inflatable Chair can prove to be the best travel companion for all those users who like to spend several days outside. 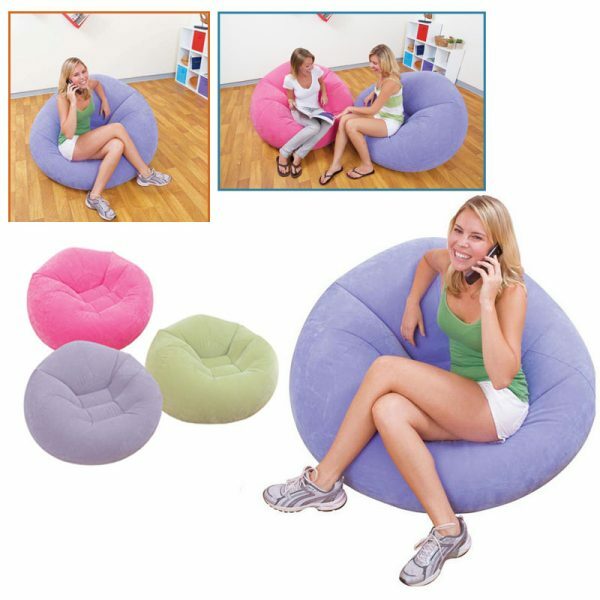 The Intex Inflatable Chair comes in the appealing purple color and the overall process for placing the order of this product is quite simple. You just have to dial the number 0321.4115583 from your mobile or landline number.